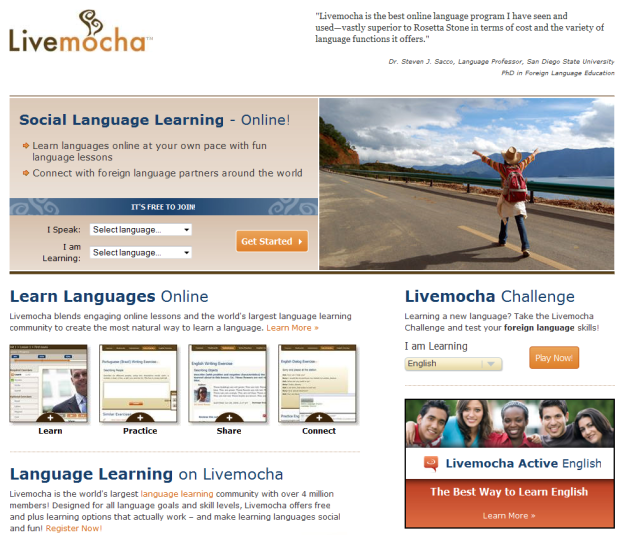 Online language learning community Livemocha has secured a healthy $8 million in Series B funding in a round led by August Capital, with participation from existing investor Maveron (a Seattle-based investment fund co-founded by Starbucks CEO and chairman Howard Schultz). Maveron invested $6 million in a previous round back in December 2007. Livemocha offers free and premium online learning courses for over 30 languages, and claims to have attracted more than 4.8 million registered members from over 200 countries to date. Its interactive courses include practice with native speakers for natural development of practical language skills. While the company does not disclose specific figures, it says customer in 97 countries are currently paying for premium products and services, and that revenues are growing rapidly. The online language learning industry is seemingly maturing as a whole, and Livemocha enjoys the company of multiple venture-backed startups vying for a piece of the cake, including babbel, Myngle, italki, Idapted and EnglishCentral. Livemocha will spend the new money mostly on product development and new partnership deals, the company says.